I understand that there should not be the need for a driver, but it will not just be shown. It's a hub powered alternative btw, not a piece of cheap plastic. Suggestions? I imagine the inconvenience that you are experiencing and will certainly help you in the right direction to solve the problem. However, I would be grateful if you could answer a few questions to refine the question in order to provide you with better assistance. What is the brand and model number. your computer? I understand that the USB device is not detected by your computer. The question may arise if the currently loaded USB driver has become unstable or damaged or if your PC requires an update for problems that could conflict with a device USB and Windows. This can also occur if your USB controllers may have become unstable or corrupt. So, I would suggest trying the following steps and check if the problem persists. Please try the fixit (s) provided below which will help you solve common problems associated with devices and USB ports. If method 1 does not work, try Method 2. Remove and reinstall all USB controllers. Open Manager devices by clicking the Start button, click Control Panel, click system and security, and then, under System, clicking Device Manager. If you are prompted for an administrator password or a confirmation, type the password or provide confirmation. In the list of the categories of equipment, locate and expand Bus USB controllers. Right-click every device under the Bus USB controllers node and then click Uninstall to remove them one at a time. Restart the computer and let the USB controllers get reinstalled. Plug in the removable USB device and test to make sure that the problem is solved. Disable USB selective suspend framework. This method prevents your power off USB device. Click the Start button, type power management in the search box, and then click choose a power plan. Next to your currently selected plan, click Change Plan settings. Click in the box USBsettings, and then expand the USB selective suspend settings. Click on the area, and then click the menu drop down and select disabled. If you use a laptop, click the cell, and then click the menu drop down and select disabled. If your problem still exists, go to method 4. This method will install the latest drivers from device to your USB device. Click the Start button, type Windows Update in the search box, and then click Windows Update in the results pane. Click find updates. When the scan finished, click optional review updates. Click the check box next to the update, and then click install updates. If you are prompted, read the license agreement, then click I agree. Follow the instructions on the screen to download and install updates. If you are prompted, restart your computer. If the device fails after updating the driver, you can try to roll back the driver with its previous version. Hope this information is useful. If the problem still persists, please post back for further assistance, we will be happy to help you. A simple restart of the machine is reset. On the hub to try another cable and a different port if possible. The SD is constructed in the? It can be a bit fussy, Reseat the card with a purpose, repeatedly if necessary so that it can recognize it. I recently got a Belkin Wireless USB hub, but I can't install/configure on my laptop ASUS Windows VISTA Home premium 64-bit. Belkin tells me I should have a Windows app, "Wireless USB Manager for Windows Vista", in my windows system tray, but I have not listed. And Belkin has not all the drivers available for download, as they claim that my Vista PC should already have the necessary software. As well, contact Belkin to see if they will release an update specifically for your operating system and a USB port. I have 6 Lightroom in my PC. Now it has stopped importing photos from my camera. Nothing happens when I click on import. It happened after I used a USB 3.0 4-port hub, but now it does not find the pictures even without the hub. Please check and see if all panels are developed as in the screenshot. First of all, my old 5-port Belkin hub worked perfectly but just leave me about 2 weeks ago. It will appear on the page of familiar devices of exclamation in a yellow circle. I tried to restore my settings of PCs, but in vain. I talked to Belkin and they said because it's a simple device plug-and-play, no driver is necessary. I bought a new hub 7 port powered this week, but the same thing happens. the PC won't start. Try this... See the website of the manufacturer of the computer. Search and find your model, download the drivers appropriate for your system and peripheral. Restart and try again. The update addresses all kinds of questions like I'm having and is an update recommended driver detective, I use offten. The problem is that it says uninstall the drivers for the i have installed already and when I do it it hits off my USB mouse me leaving no able to install the new. When I reboot it installs those I don't want not reinstalled. This is the read me, off the coast of the new update and really I don't understand to underdstand what to do... .so here it is? 3. in XP/SP1, update driver will crash the system, while the new facility is ok.
4 to support the controller remotely, please launch Agent.exe in \Agent. 5 AV sync if audio captured the wrong filter. 1 is not correctly configured. 1. the firmware version read FLASH OK! 1.MUtil - access driver empty part lower part of screen when IST! 2.MUtil - access HCT pilot check fix crash! 1 tuner turns off when S-Video, Composite. 1.agent.exe update for repeat bug! 2.TI5150 sign up to fix video Format! Note: The filter 'Audio device USB' provided by the system does not support mutil-access. 1. difficulty I2C unstable access on some devices. 1. analog TV becomes sometimes darker. 1. difficulty of installation INF for Windows 2000. 2 FM scan radio policy changed! 1 USB string serial number not visible with USBView, updated firmware required. 1. Add an audio initialization function. 1 separation of PAL and NTSC resolution mode. 3 pinnacle inf file HCT chkinf fail. 1. add remote control interface in digital source filter. 2.A new remote test tool that contains of the source code in \Test_RC. 1. Pinnacel & Twinhan driver & file reorg. 2.VP704A_BDA_Test tool, add a test to the system code. 3. set the standard infrared protocol of "IRSTANDARD", "IRSYSCODECHECK1" registry keys in the INF file. (This firmware uses GPIO3 (M9207 pin 80) to decode the RC6 Protocol. 3 Serieal, MAC address and name of device OEM taken in charge. Please see for more details on the \Firmware\readme.txt. 4 Ioclt example source code included. 1. increase audio volume analog TV. 1. analog TV Video mode failed. 2 difficulty program a copy scanned in MCE. 2. improve the stability of I2C communication. 3 unify signaling resistance & quality as a THBda ioctl interface. 4 capture filter lock state control. 1. the same strength & quality signals as VP7046. 1. put the INF update. 1. production tool FM test OK! And here is the Readme file from the other file in the update? -This program will copy the driver files in your Windows system, and then restart your computer. Host Controller"and install the driver. -This program will copy the driver files to your Windows system, then turn off your computer. 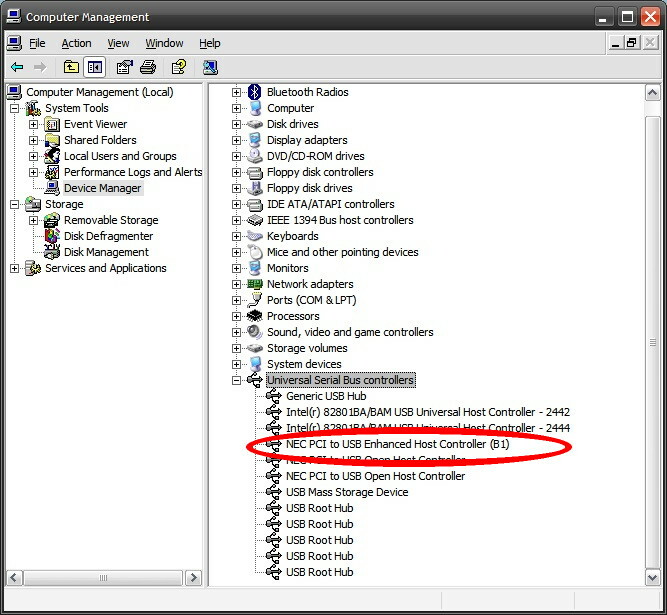 -Fix the ULi USB 2.0 computer controller card and restart your computer. -Once install the driver ULi USB 2.0 successfully. System will detect "USB 2.0 Root '. Click 'Next' to continue the installation. Host Controller', proceed with the installation. steps to reinstall driver above. 1. open the "Control Panel" folder. 3 choose the "ULi USB2.0 Driver" section. 4. click on the "add/delete" button to remove drivers. 1 fix this multi-interface keyboard may not be detected on the USB 2.0 hub. 2. support all USB2.0 Host Controller. 1 problem on Win98SE, blue screen when you unplug a USB 2.0 Scanner after scanning image. 2 solve problem on Win98SE, blue screen when you unplug a few Scanner USB 2.0 USB 2.0 Hub after scanning image. 3 fix on Win98SE, blue screen when copying of files through the hub of UH-204 SUNBOX. 4 solve problem as wirless lan will disconect when the plug in usb device. 1 fix that system crash when HD USB copy large files. 1. improve the management of power in Win98 / Me. 1. improve the devcie detection function. 1 solve the problem that can not operate a USB HUB USB 2.0 disk when the system resume inactive. 1 solve the problem that some device under USB 2.0 HUB is not found if resumes suspension system. 1. Fix USB with USB 2.0 HUB floppy cannot detect problem. 2. fix audio problem that can not display smooth when peripheral USB connect to the system. 1 fix that device of DVD decoder cannot display correctly. 1. fix OTI USB 2.0 drive hand cannot detect question. 2. attach the USB mouse cannot be used after the resumption of hanging. 1. to improve the safety of the driver. 1. to improve the compatibility of USB 2.0 card reader. 2. fix USB IDE devices are not accessible after the release of the standby/hibernation mode. 1. improve the performance of bulk transfer. 2. fix the failure of USB 2.0 Preview in bulk webcam. 1. fix system hang up when the mode standby ACPI. 2. attach the mouse sometimes does not disappear when it is unplugged. 1. Add new feature that system can install the driver ahead of the device is plugged in. 2. fix PCMCIA OHCI controller resources affect problem on Windos ME. 1. support Win9X/ME / 2 K/XP with ULi USB 2.0 driver. 2 fix PCMCIA EHCI controller detection device USB 2.0 problem in Win9X / me. If the path of the OS is not c:\windows. 2. Fix problem that pilot cannot detect the USB 2.0 controller device in a system. 1. Fix problem that driver cannot install on Windows 2000. 1 fix than Win9X / shows ME no USB 2.0 hub. 2 solve the problem that hang up when the second entry in Win9X S1 with HID device connected. 3 Fix problem that sometimes when you click on "search the hardware changes. verison of ULi EHCI controllers devices are connected and disconnected. system at the same time. 6. determine Win2K/XP shows hub USB root for USB 2.0 hub. 1. support ULi USB 2.0 for Windows 98SE/ME/2000/XP host controller driver. CAN SOMEONE TREAT ME LIKE A CHILD OF TWO YEARS AND GIVE SOME ADVICE AS TO HOW TO OBTAIN THIS UPDATE. I'D VERY GRATEFULL AND KIND OF THINK IT would BE BENEFICIAL to a LOT MORE than PEOPLE LIKE I SEE a LOT OF XP AND PROBLEMS OF THE KIND THIS UPDATE IS SUPPOSE to FIX. I'm new here, so anyone could direct me to these answers? Hi, I'm running Win7 64 bit on a motherboard Asus Z87. I recently did the upgrade from 32 to 64 bits, but this problem has followed me to the new system. The problem is the system apparently cannot detect a USB 3.0 hub, and the drivers from the CD of the motherboard or Intel (probably?) are not detected. It is currently listed as an "unknown device" on the control panel with a warning Code 28. I suspect that the problem may lie in the USB ports on my computer case, which are distinct from those provided on the motherboard. Install, reinstall, or update the following, to the most recent available from the links below. Note: Please make sure that I have the good motherboard bound before proceeding. How to check the version of BIOS and motherboard? Hey all, I'm trying to connect a USB to an ESX 4.1.0 server to copy some files on it but I have a few questions. It seems to be detected (present in dmesg and lsusb), but he does not appear in fdisk-l and I can't ride. fdisk-l shows no device sda. If I do a 'method' in / dev, no / dev/sda * nodes are present. El lo tenia en quadrilha luego lo movi message a borradores y hoy no abre ahi no hay UN signo admiracion when the there is a click appears una casa that dice (movido a este su pocision acctual. message y luego nada mas to you can hacer.) Gracias. Correspondence concerning the points of restoration and files not deleted appearing in the Recycle bin disappeared. Where can I find? My last post responses about 3 hours ago. I bought a combo keyboard and mouse 5000. The mouse never worked good to go, I bought a separate Microsoft Wireless Optical Mouse 5000. The keyboard does not work with this receiver, I'll have to keep plugged in as well? © 2019 eehelp.com. All Rights Reserved. 9 q. 0.225 s.